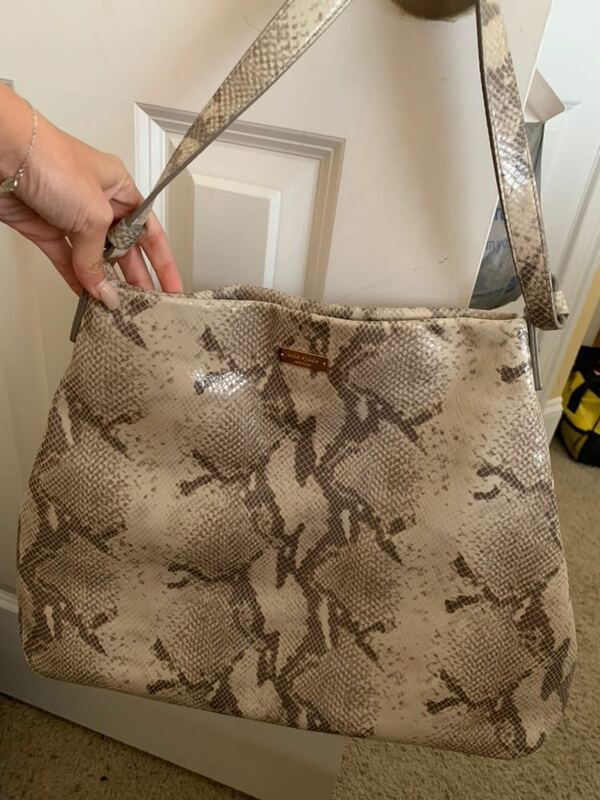 Kate spade snakeskin purse in MINT condition. It has purple lining on the inside. No stains and no damages. It has only been used once.